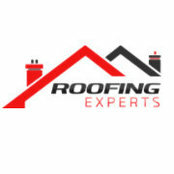 Roofing Experts & Co. Ltd is a Dublin 6 based registered family run business with generations of experience as roofing contractors spanning over 40 years. Our aim is to provide quality of service and competitive rates. Our friendly, highly skilled workforce pride themselves on their workmanship and are conscious of the need to excel to maintain our valued reputation which we have built up from many years of hard work. If you have a roofing problem or just need some friendly professional advice we are here to help. Our team of professional Dublin roofers consists of torch on felt specialists and are experts when it comes to slated/tiled roofs etc. We offer a complete roofing service covering all aspects of roofing including our roof repair service. Our service page can provide a list of different roofing topics which we specialise in. We also provide a 15 year guarantee on all new work completed.